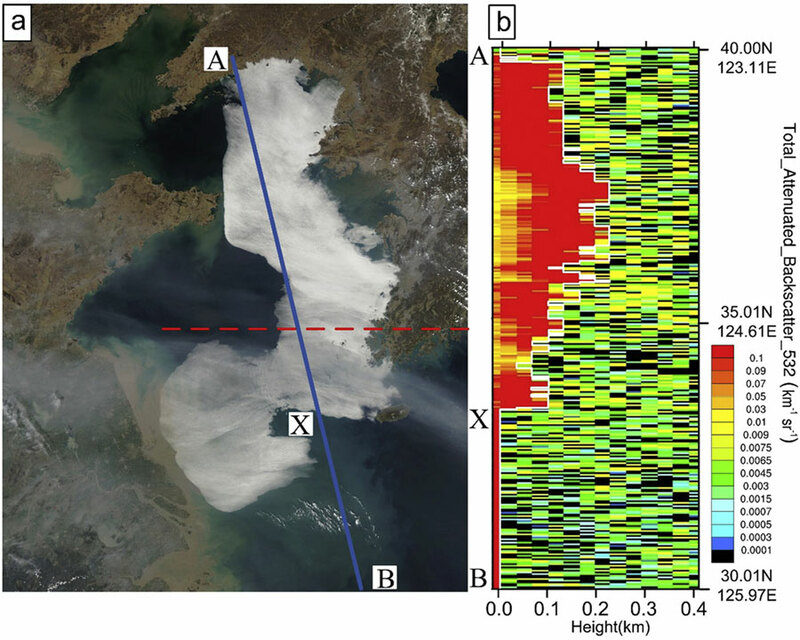 This image near Qingdao, from the CALIPSO (Cloud-Aerosol Lidar and Infrared Pathfinder Satellite Observations) satellite, shows the vertical cross-section of backscattering coefficients (indication of water droplets, i.e., sea fog) along the blue line AB. Courtesy of the Center for Analysis and Prediction of Storms (CAPS), University of Oklahoma. 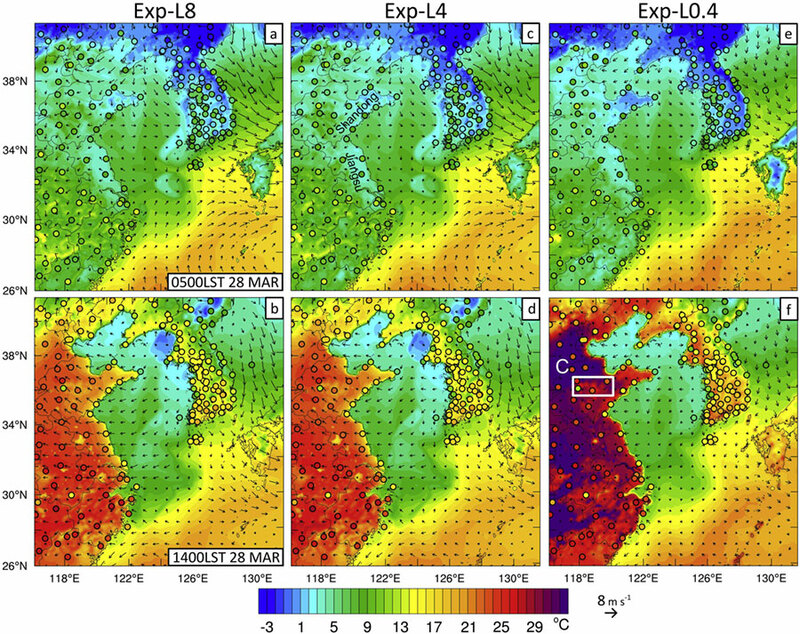 Evaluation of surface temperatures simulated with different vertical resolutions (from left to right) using station data over eastern Asia archived by NOAA. This helped researchers identify the optimal vertical resolution for accurately simulating sea fog. Courtesy of the Center for Analysis and Prediction of Storms (CAPS), University of Oklahoma.. The study was conducted by Ocean University of China researchers Yue Yang and Shanhong Gao, and University of Oklahoma researchers Hu and Yongming Wang. The team used the Weather Research and Forecasting (WRF) model to simulate the selected sea fog and examined sensitivity of the WRF simulations to different vertical resolutions in order to provide insight regarding how the fogs form, as well as developing optimal model configurations to better predict sea fogs. This work was supported by the National Key Research and Development Program of China (2017YFC1404200, 2017YFC1404100) and the National Natural Science Foundation of China (41276009). The first author received support from China Scholarship Council and the second author was partially supported by the NOAA VORTEX-SE Program through grant NA17OAR4590188 and U.S.-based National Science Foundation (NSF) XSEDE allocation grant TG-ATM160014.